Ana Carolina Avzaradel Szklo is Institutional Development Director at Brazilian Business Council for Sustainable Development (in Portuguese CEBDS). At CEBDS, Ana Carolina is the focal point for WBCSD and responsible for the working groups, institutional projects and initiatives such as Action 2020; Energy Efficiency in Buildings; Sustainable Development Goals (SDGs); Leaders Council; Brazil Climate, Forests and Agriculture Coalition; and Cities. 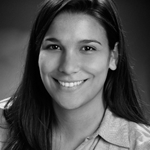 Ana Carolina also institutionally represents CEBDS in forums such as SDSN Brazil, as an Executive Committee member. Previously, she has worked as Senior Consultant in ICF International Climate Change and Sustainability department and as Technical Consultant in the Ministry of Science, Technology and Innovation in the Climate Change General Coordination and in the Designated National Authority. Ana Carolina participated in the multilateral climate change negotiations in the UNFCCC (COPs 15 and 16 and climate change conferences) and in the IPCC and international forums on biofuels (GBEP) as a member of the Brazilian delegation. She has also worked as a researcher in Centro Clima and as an Analyst in Globopar’s Corporate Finance department. Ana Carolina holds MSc in Environmental and Energy Planning, is an Economist and member of the Roster of Experts of the UNFCCC for the energy sector and Lead Reviewer for Annex I countries national inventories review and also a member of the Roster of Experts of the World Bank for the Partnership for Market Readiness. 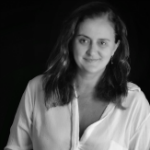 Bianca Melo is Administrative and Financial Manager at Conselho Empresarial Brasileiro para o Desenvolvimento Sustentável (CEBDS) since July 2016. 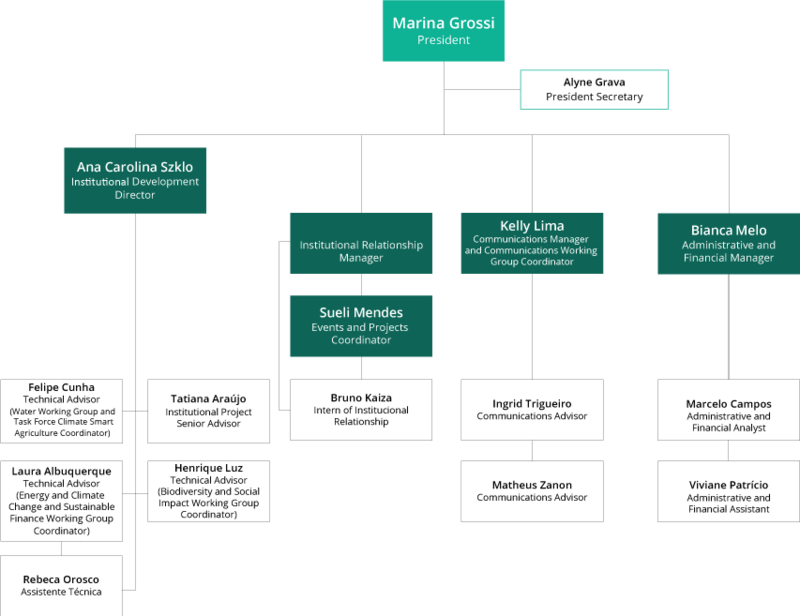 Prior to this position, she worked for Oi Telecom, Senior Taxi Aéreo, Elogia, and Club Med, always in the financial department, where she was responsible for financial organization and management, investment portfolios and project funding. Bianca has a bachelor degree in business administration and a MBA in finance and controllership both from Fluminense Federal University (UFF), and specialization in finance from Fundação Getúlio Vargas (FGV RJ). Kelly Lima is Communications Manager and coordinates the Education and Communication Working Group at the Brazilian Business Council for Sustainable Development (CEBDS, in portuguese). She has a bachelor degree in Social Communication and more than 20 years of experience in newsrooms and news agencies, most of which is dedicated to the coverage of the economic sector. She worked for Agência Estado for 13 years, with 9 years dedicated to energy. She also served as the Communications Coordinator of the Economic Development Secretariat of the Government of the State of Rio de Janeiro, and was in the BNDES communication area, managing the implementation of the social media area. 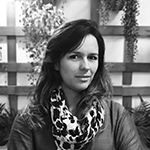 She has a MBA in Regional Economics and Digital Marketing, and a postgraduate degree in Photography as an Instrument of Research in Social Sciences, by Cândido Mendes University. She also completed a postgraduate in ESPM in Integrated Communication. 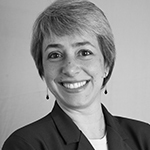 Sueli Mendes is Senior Coordinator of Events and Projects CEBDS since 1997. Masters degree in law, has experience in managing events and projects, fundraising, coordination of partnerships, and budget management. Has expertise in project management area for the third sector by FGV, and management of corporate social responsibility by Fundação Dom Cabral (FDC). Alyne Grava is an Executive Secretary graduated in Bilingual Executive Secretariat by PUC-SP and post-graduated in Executive Assistance by Uniítalo (SP). She has been at CEBDS since August 2018 to attend the Presidency. She worked in national and, mainly, in large multinationals companies, passing through several areas as: IT, Controllership, Superintendence, Marketing, Legal, Projects, Well Engineering, among others. She has volunteered in Social Responsibility programs promoted by those companies, and has extensive experience in supporting executives and their respective teams, managing appointments and contacts, filtering information, organizing documents, preparing reports, taking care of executives’ personal matters, buying office materials , making the payment of company accounts in specific systems, controlling the budget, facilitating the day to day with mastery of the administrative routine. 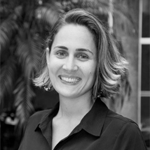 Laura Albuquerque is a Technical Advisor at the Brazilian Business Council for Sustainable Development (CEBDS) and coordinates the Climate Change and Energy and Sustainable Finance working groups. Laura has a B.Sc. in Chemical Engineering from the Federal University of Rio de Janeiro (UFRJ) and holds a Master’s degree in Energy and Environmental Planning from COPPE / UFRJ. She worked as a consultant in Environmental Resources Management (ERM) and as a Sustainability analyst at Vale. 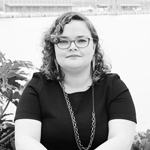 Laura has experience in technical subsidies to add value to the commitments assumed by companies in the climate change area, such as GHG Inventory, GHG Reduction project portfolio, Action Plans for Target Achievement, Analysis of Climate Public Policies, among others. She also has certificates for auditing in ISCC (International Sustainability and Carbon Certification) and for validation and verification of CDM projects. In addition to the CEBDS, she collaborates with the website “Sustentabilidade Em Pauta” with sporadic articles. Felipe Cunha is the technical advisor for water and agriculture in Brazilian Business Council for Sustainable Development (CEBDS). He is graduated in Geography and Environment and Master in Economics for Transition at Schumacher College (UK). He has 10 years of experience as a consultant and facilitator for Sustainability and cultural development in several organisations like Petrobras Biofuels, SBM Offshore, Rio Municipality, McKinsey, Noos Institute, Benfeitoria, UTN, amongst others. 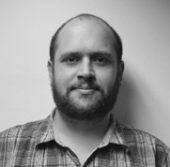 Henrique Luz is Technical Advisor and Coordinator of and Social Impacts (CTSocial) and the Biodiversity and Biotechnology (CTBio) working groups of the Brazilian Business Council for Sustainable Development (CEBDS). He works with the incorporation of social and environmental issues in business decision making since 2008, having experience in energy, oil & gas and mining sector. He was Sustainability Analyst at Vale and, before that, researcher at Environmental Economy Group (GEMA/IE/UFRJ) in a collaboration project with Cenpes (Petrobras). He´s been in the core team involved in the development of environmental valuation tools for investments decision. 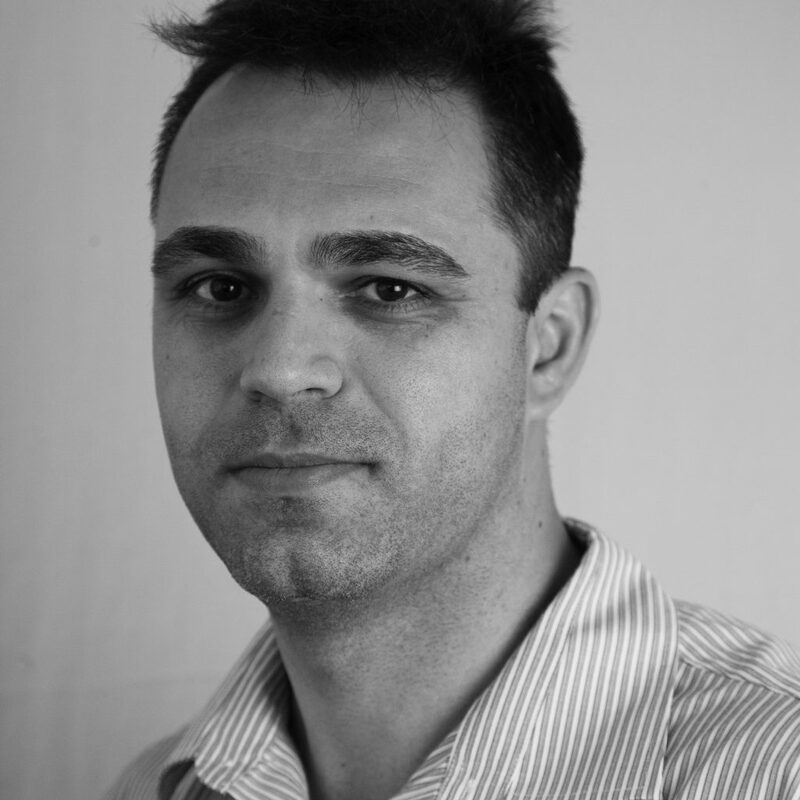 Henrique holds a Master and Ph.D. in Environmental and Energy Planning (PPE/UFRJ) and is B.Sc. in Biology (IB/UFRJ). Tatiana Faria de Araujo is Institutional Project Senior Advisor at the Brazilian Business Council for Sustainable Development (BCSD-Brazil) and has been in the organization since 2016 coordinating projects in the following themes: Sustainable Development Goals (SDGs), Energy Efficiency in Buildings, Cities, Sustainable Production and Consumption, Integrated Reporting, Sustainability Reporting and Leaders Council. Previously, she was Senior Consultant at Deloitte, where she coordinated an audit team on projects in management area (Safety, Environment and Health), ISO 14001:2004 and OHSAS 18001:2007. She also worked at Bureau Veritas in environmental auditing and environmental management system (ISO 14001:2004). Tatiana is biologist by the Federal University of Rio de Janeiro (UFRJ), with Masters Degree in Ecology at the same university. 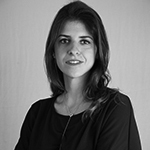 Rebeca Orosco is Technical Assistant for Climate Change and Sustainable Finance at the Brazilian Business Council for Sustainable Development (CEBDS). She’s a Master student in the Energy Planning Program at Coppe/UFRJ. Worked as a graduate researcher in a project to evaluate the impacts of a global diet change under different climatic scenarios as a contribution to Greenpeace’s long-term vision at the Cenergia Lab (Coppe / UFRJ). She is graduated in Chemical Engineering from the Federal University of Rio de Janeiro (UFRJ) with an extension in renewable energy engineering at the Fachhochschule Köln, in Germany. She was an intern at Braskem for nearly two years in the industrial production area working on the follow up daily the industrial production activities in the utility area. Previously, she has also worked as an intern at Deutsche Infineum in the area of industrial processes in Cologne, Germany. 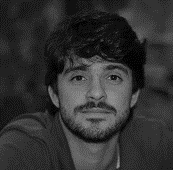 Bruno Ribeiro Kaiza has been a trainee of institutional relationship for the Brazilian Business Council for Sustainable Development (CEBDS) since 2017. He is studying at Ibmec RJ to be a Bachelor of International Relations and before joining CEBDS he was a formerly director of academic events at the Ibmec RJ International Relations Directorate. Ingrid Trigueiro is Bachelor in Public Relations from the State University of Rio de Janeiro (UERJ), post-graduated in Business Communications from the University Cândido Mendes and in Market Research and Public Opinion from UERJ. She has worked in the press office area of the Universidade Aberta da Terceira Idade (UnATI) and also in the internal communication area and in the press office of the National Cancer Institute (INCA) by FSB Communications for more than three years. Furthermore, she worked two more years in the FSB as press officer for “Fundo Vale” and “Projeto de Florestas Nacionais de Itaituba I e II” supported by the International Finance Corporation (IFC), Serviço Florestal Brasileiro, and BNDES. She has also worked in the organization of events, ceremonials and campaigns from the National Cancer Institute (INCA) by the Cancer Foundation. 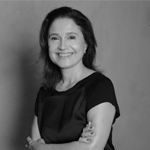 Currently, she has been press officer of the Brazilian Business Council for Sustainable Development (CEBDS), since 2015, being responsible for communication strategies to the press and its website. 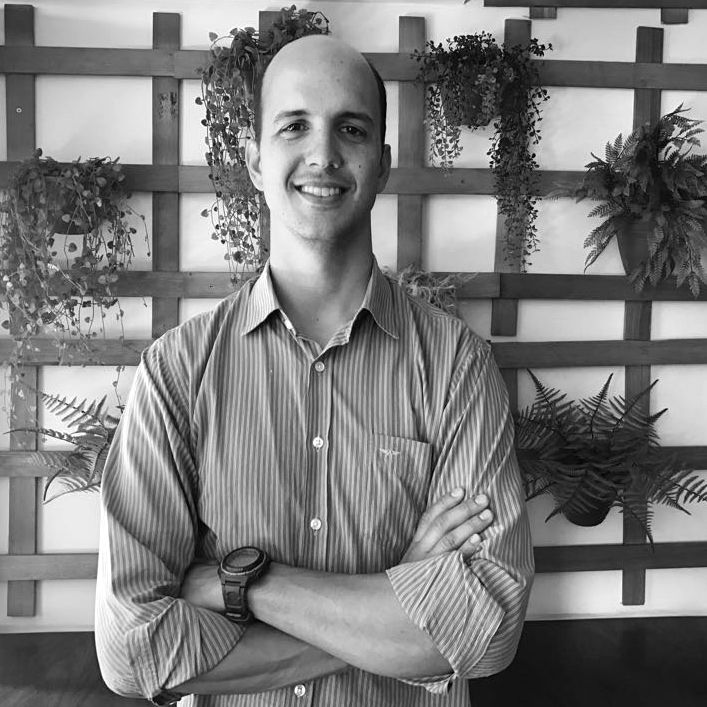 Matheus Zanon is Press Officer for the Brazilian Business Council for Sustainable Development (CEBDS) since 2018. Graduate in journalism by the Fluminense Federal University and specialized in Technical Capacitation for the Oil and Gas Business by the Brazilian Institute of Petroleum (IBP). Acting in the Press Office area since 2010, with a brief passage by the printed news. 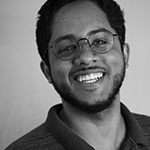 Matheus has been press officer for the Secretariat for Economic Development, Energy, Industry and Services for six years, occupying the position of Communication Coordinator for two years. Matheus has worked as well in the Council Chamber of Rio de Janeiro, Petrobras Transport and Fluminense Federal University. Marcelo Campos is an Administrative Financial Analyst and has been in the Brazilian Business Council for Sustainable Development (CEBDS) since August 2011. He is trained as a management technician at Estácio de Sá University and he has taken courses for the improvement of the financial management area, such as: Accounting and Negotiation Techniques from Estácio de Sá University, Specialization in Management Development from Fundação Getúlio Vargas, among others. Marcelo has 20 years of experience in the financial area and worked for companies of various segments such as: human resources, security and oil and gas. 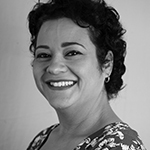 Viviane Patricio has been a Financial Administrative Assistant at CEBDS since June 2018. She graduated as a Business Administration Technician from SENAC Rio. She attended Administrative courses for UNIGRANRIO and Recruitment and Selection by Senac Rio. She began her professional career as a trainee in the administrative area of the Bank of Brazil. 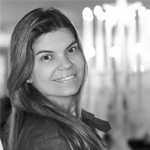 Viviane also has experience in the companies: Xerox Brazil, Digital Link and Film Board (focused on the production and completion of advertising videos) acting as financial administrative assistant, adding more than 17 years of experience in this area.